Need a replacement or maintenance! Want a fresh and allergy free home? If your allergy flare up every year, give us a call we can help. We will make your Mobile Alabama AC repair & equipment service or repairs easy and affordable. Whether you need Mobile AL AC Repair or furnace repair, we can prepare you unit for the changing seasons. PATCO will tune-up and check your Mobile AL AC system or heating and air system, learn more about our annual service plans. Learn more about how PATCO can help with maintaining a healthy home with indoor air quality. We can help with your Mobile AL AC Repair or Furnace Repair, Replacement or Installation. We can handle all your service needs fast, or if you’re looking to replace or buy new equipment for your home, Patco A/C Service, LLC can do the job. Ask around… Choose Patco A/C Service, LLC for all of your Mobile Alabama AC service & maintenance. Our name is well known and respected and our mission is to provide our customers with the best price and service. We all have become accustomed to nice cool homes during the summertime in these modern days and are a bit pampered because we often take our cool homes for granted and forget energy and money saving tips that could lower our monthly bills while enjoying those cooled homes. One simple thing we could all do to increase performance of our air conditioning units is to make sure we do not leave windows and doors open while our units are operating. When this occurs, it puts added strain on your system to keep up. The system tries hard to reduce humidity and to cool the hot air rushing into your home. Keep this in mind especially if you have children who often forget to close doors. It is recommended that you obtain a digital thermostat that is programmable. You might consider turning the temperature gauge up a few degrees when you and your family are away at work and school. It can be programmed to resume your preferred temperature before you all get home and should save on your utility bill. 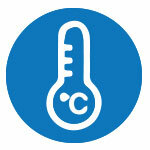 Make sure your thermostat is not near hot places like light bulbs or stoves. Also, do not keep your home even a few degrees cooler that preferred because every degree adds to your costs. Some aspects of an air conditioning unit are far too complicated for the average person and a qualified AC repair service company should be called. However, there are quite a few things homeowners can do themselves to result in comfort with the least costs. When you are going to be away for vacations or work trips, do not turn your unit entirely off. Turning your unit off for short periods of time is fine. However, for longer periods, it might cause havoc to the unit itself. Mold might accumulate and the parts of the unit could be affected after sitting idol for a long span of time. You do not want stagnant air in your home for long periods of time to lower the quality of the air you breathe. There are special thermostats that will let the homeowner manage the air conditioning unit while away. It is great to return home to a house that has been programmed back to its preferred temperature. An absolute must for carefree air conditioning is to replace air filters frequently. Once a month is recommended to ensure the quality of air is at its greatest. Dirty filters allow mold and dust and other pollutants into your home. In addition, if filters are left dirty too long, it can negatively affect the unit itself and wreak havoc causing an expensive repair. Your unit might actually freeze up. Ceiling fans can be helpful by aiding your air conditioning unit in circulating the air. The added benefit is that when air is in motion, it makes a person feel cooler even when the temperature is actually the same. Make sure you have your ceiling fans turned to the correct setting. One setting is usually for winter and one for summer. 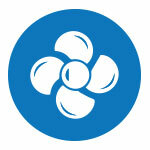 Use exhaust fans minimally because they pull a lot of your cooled air out of your home and increase costs. In addition, always have your system cleaned and checked in the spring and fall by a qualified Mobile Alabama AC repair company. Prevention is the key to a happy worry free summer. Our goal is to give the best in quality and service. Schedule an appointment. Patco A/C Service, LLC, is a Mobile Alabama AC Repair company specializing in Heating, Cooling, Air Conditioning, Geothermal Heat Pump, Ductless Mini-Split and Furnace repair, service,replacement and maintenance Company in Mobile County. Patco A/C Service, LLC employs only the best technicians for air conditioner repairs and, furnace repairs as well as all air conditioner replacements, furnace replacements and boiler replacements in Axis AL, Bay Minette AL, Bayou La Batre AL, Bucks AL, Chunchula AL, Citronelle AL, Coden AL, Creola AL, Daphne AL, Spanish Fort AL, Fairhope AL, Grand Bay AL, Irvington AL, Loxley AL, Montrose AL, Mount Vernon AL, Point Clear AL, Saint Elmo AL, Saraland AL, Satsuma AL, Semmes AL, Silverhill AL, Stapleton AL, Theodore AL, Wilmer AL, Mobile AL, Eight Mile AL, Lucedale MS, Escatawpa MS, Hurley MS, Moss Point MS, & Pascagoula MS. To set-up a repair service estimate or replacement estimate, call (251) 660-9595. Patco A/C Service, LLC services all furnace, AC, humidifier, filter, thermostat and water heater brands including Carrier, Bryant, Payne, Trane, Lennox, Rheem, Ruud, Amana, Daikin, Mitsubishi, Fujitsu, Crown, Frigidaire, Gibson, Goodman, Lochinvar, Maytag, Weil McLain, A O Smith, Kohler, American Standard, GeoExcel, General, Aprilaire, Honeywell, White Rodgers, Dynamic and Skuttle.